Cozy Chicks: Would you like fries with that frog? Would you like fries with that frog? I’ve been meaning to write a post on procrastination, but the next week always seems a better time to do that. However, this week, while I was avoiding something that really needed to be done, I have happened to read about the phrase ‘eat your frog’. When I regained consciousness, I realized that this metaphor for doing the thing worst first is actually a terrific idea. 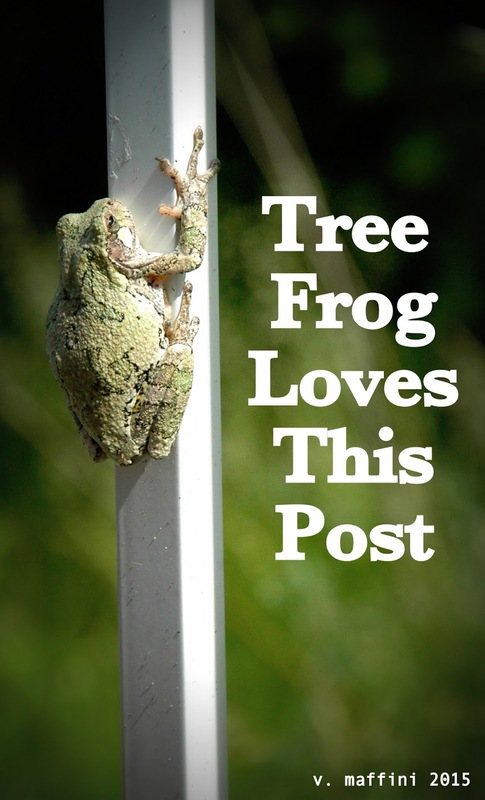 But it’s hard to argue with the idea, even though around here we quite like frogs and the great job they do. 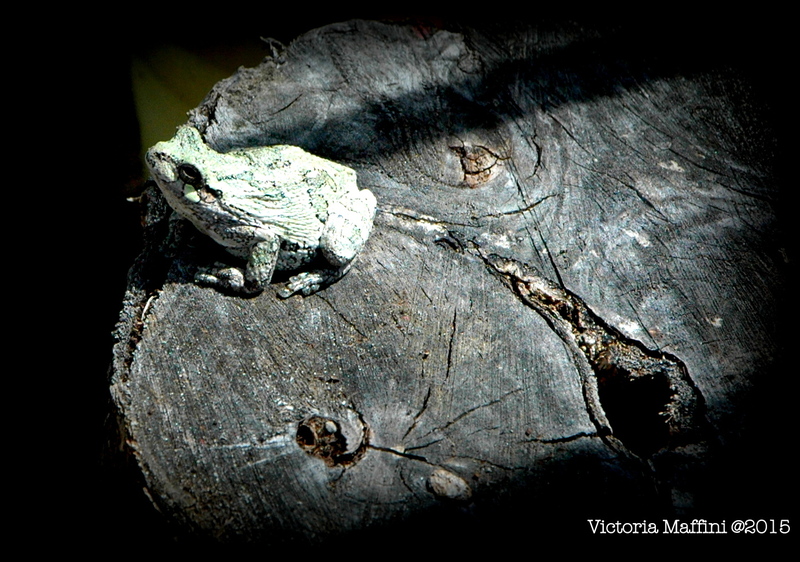 As you can see, daughter Victoria (the other half of Victoria Abbott) loves to photograph them. Regardless, I resolved to do the hardest thing first, right after my nap. Me: Did you eat your frog yet? He: No, I have a problem with a bunch of tadpoles. He: Did you eat your frog yet? Me: My office is like a holiday camp for frogs. Never mind. We did start to do some horrible things (think government forms) we’d been putting off waiting for the right time. We love the feeling of exhilaration when that nasty little job is out of the way first thing in the morning. Go ahead. Take that nap. I'll wait. Honest. Everything else seems possible and even fun. Thank you, froggies! And now, what about you? Do you ‘eat the frog’? Or do you have another idea for getting unpleasant tasks out of the way? Or a gentler metaphor. Let’s hear it! At work, I try to "eat the frog" first so I can enjoy the rest of my shift (though this is the first time I ever heard of "eat the frog"). A vegetarian could faint at the thought, Jen! Thanks for coming by and sharing. I think that frog could make the rest of your shift better. Sounds like a good idea and saying.. Maybe I'll try it tomorrow. I am just thinking of the frog indigestion I will get when I have to initially eat all those frogs to catch up. Yes, Mary Jane. "Eat your frogs every morning." I need to space my frogs out. One or two a day is as much as my brain wants to handle. 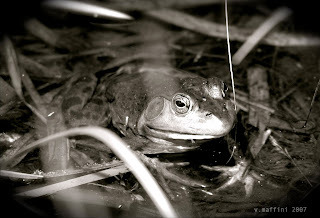 And by the way, the bullfrogs in my pond croak all night and are really annoying. Anything you can do about those frogs, MJ? I agree with spacing them out - too many frogs and we turn green among other things) Are the bullfrogs amorous? If so, you're out of luck.